The 6 new AMG cars presented for Indian market include: the SLK 55 AMG, the CLS 63 AMG, the S 65 AMG, the E 63 AMG, C 63 AMG and the SL 63 AMG. AMG is the performance brand from the Mercedes-Benz stable and combines the Mercedes values of comfort, luxury and safety with cutting edge performance and dynamism of AMG. Mumbai. Mercedes-Benz India presented its range of AMG cars in India at a glitzy event at the DLF Golf and Country Club, Gurgaon. 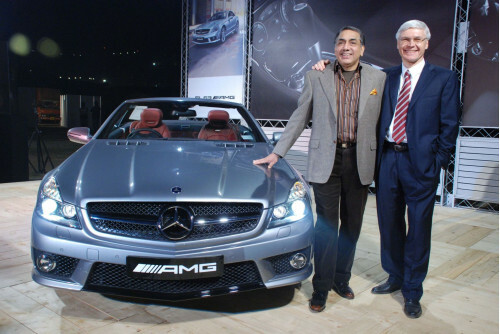 The event, attended by the glitterati of the capital city was attended by Dr. Wilfried Aulbur, Managing Director and CEO of Mercedes-Benz India along with senior management representatives. The mean machines from the Mercedes-AMG range have made its mark on and off the racing circuits the world over. 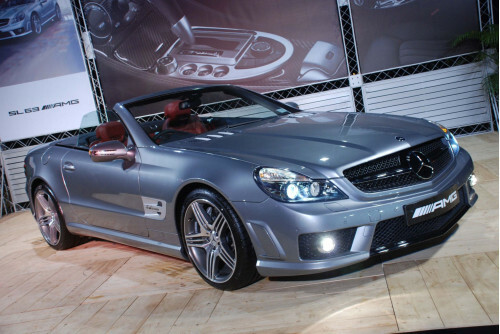 The cars presented were: the SLK 55 AMG, the CLS 63 AMG, the S 65 AMG, the E 63 AMG,SL 63 AMG and the C 63 AMG. Top models (including Indryani Dasgupta & Amanpreet Wahi) further added to the glamour quotient of the evening. AMG has a very rich tradition- and a relationship with Mercedes-Benz that dates back to over 25 years. It was founded in 1967 by Hans Werner Aufrecht and Erhard Melcher and right since the start the company has dedicated itself to specialization in engineering, construction and testing in the development of racing engines. Since 1988 AMG has collaborated with Mercedes-Benz and ever since, have enjoyed huge success in racing history and the cars as well as their drivers have become legends. Today, AMG is a fully functional car creator with overall responsibility for developing the design, aerodynamics, interior as well as the powertrain, engine, suspension, brakes and electronics – right up to granting final approval for production of the complete AMG vehicles.